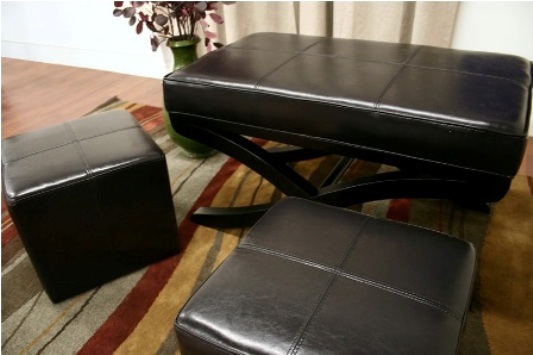 Perfect for large families, the Grako Ottoman and Bench Set is a great way to add additional seating and ottomans to your home without using much space. Included is a bench that can also be used as an ottoman or a table with brown faux leather upholstery, piping trim, and black wood legs. 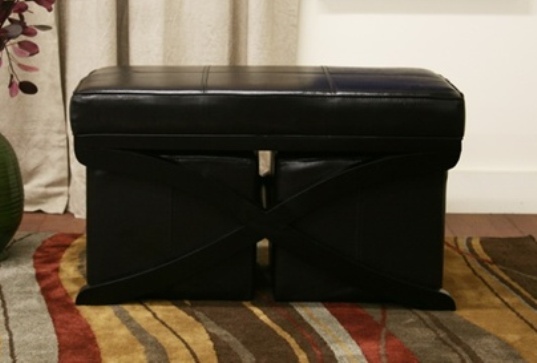 Two matching dark brown faux leather cube ottomans round out the set and nestle underneath the bench. All pieces feature non-marking feet and are fully assembled.